If you are a WordPress theme web developer here are some handy tips for customising the WordPress Admin Dashboard. Yes, you can download plugins that will do some of these for you but why take the easy route when you can get a warm fuzzy feeling from hacking away at some code! By default, the WordPress logo is shown at the top right of the admin dashboard. This can be replaced with your own image, perhaps using a customer logo or something relevant to the website theme. The image below is a before and after example from one of our customer websites. You will need to create a transparent GIF or PNG image 30 pixels wide and 31 pixels high. If you’re unable to create a transparent image then you’ll need to make sure the background of your image matches the admin dashboard header. In WordPress v2.x the background colour was #494949 and for v3.x this has been changed to #d7d7d7. Copy the following code into your functions.php file and modify the filepath to your newly uploaded image. The default colour of the admin dashboard header is a boring #d7d7d7 grey colour. Here’s some simple code to change the header colour to dark blue. Copy it into your functions.php file. Of course you may need to change the text colour in the header to match your new background color like the before and after image below. Here’s a more comprehensive code snippet that we used in the above image. Change the CSS code to suit your own theme branding. Sometimes you may find that you don’t use the core functionalities that WordPress offers in your designed theme. Why not remove the admin dashboard menus that are not needed? It will tidy up the interface and stop customers clicking into parts of the interface that you haven’t modified or used. Paste this code into your theme’s function.php file to remove the left-hand-side “Settings” and “Plugins” menus from the admin dashboard. This is just a simple example but you could expand the code to restrict menu items based on user roles or IDs. The number of dashboard widgets can overwhelm some customers when thy first log in to the WordPress admin dashboard. 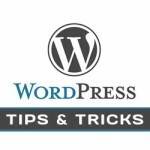 Here’s how to declutter the area, removing the “Plugins”, “WordPress Blog” and “Other WordPress News” dashboard widgets and creating a new “Help and Support” widget. Copy the code into your theme’s functions.php file. Our new widget should appear on the admin dashboard looking like this. WordPress does a pretty good job of letting you know when a new version is available, however, circumstances may dictate that only a particular user role or ID can perform that update. Here’s the code that will remove the WordPress update banner for non-administrators. Paste it into your theme’s functions.php file. Of course you can extend the code for your own web design projects and make it as complex or simple as you like. When handing your WordPress theme over to a customer they will inevitably ask for an Administrator login – and quite rightly so. Unfortunately, from experience, you know that customers will go into the Settings menu and start to modify some of the options there. Here’s some code that will add a nice “I told you so” warning box to the top of the settings menu on the Admin Dashboard using the same style as those annoying useful WordPress update boxes. Add this code to your theme’s functions.php file. // Uses the same style box as the WordPress Update "update-nag"
Keep in touch with your customers after you have deployed a custom WordPress theme by adding your company’s news feed to their Admin Dashboard. Here’s the code to include in your theme’s functions.php file. You’ve went through all the time and effort of creating a new WordPress theme for your customer. Why not give yourself some credit in the Admin Dashboard footer, giving due credit to WordPress at the same time? Add the following code to your theme’s functions.php file. Along the top right of the Admin Dashboard header is the “favourite actions” drop-down menu (see before and after image below). By default the menu contains quick link to New Post, Drafts, New Page, Upload and Comments. Copy the following code into your functions.php file to completely remove the drop-down. WordPress theme designers shouldn’t stop at the front-end design of a web site. Customising the WordPress Admin Dashboard is not only a sensible idea for lowering potential support calls, it is essential for completing the brand identity of the website. Good stuff, thank you Wil! I’m looking into the following challenge, which I believe is closely related to your article. I would like to add items to the left-hand menu column of the dashboard. For example, rather than editing the footer.php content via Appearance -> Editor -> footer-.php, I’d like to have an item named “Footer” in the left-hand column. When user clicks on it a “footer” content editing section would open in the center of the dashboard, much like a page or post in editing mode. Also, I’d like to create customer php files for “boxes”, e.g. “box1.php”, “box2.php” etc, which can then be hooked into page templates so that their content would display on the front-end. I’d like to create left-column menu items for those boxed in the dashboard admin as well, much the same way as the footer example above. Great stuff Wil! I’m trying to change the sidebar menu to a horizontal static top menu. I’m going to use bootstrap 3 as the css framework. I was hoping to see if you had any ideas on how to make this painless lol!